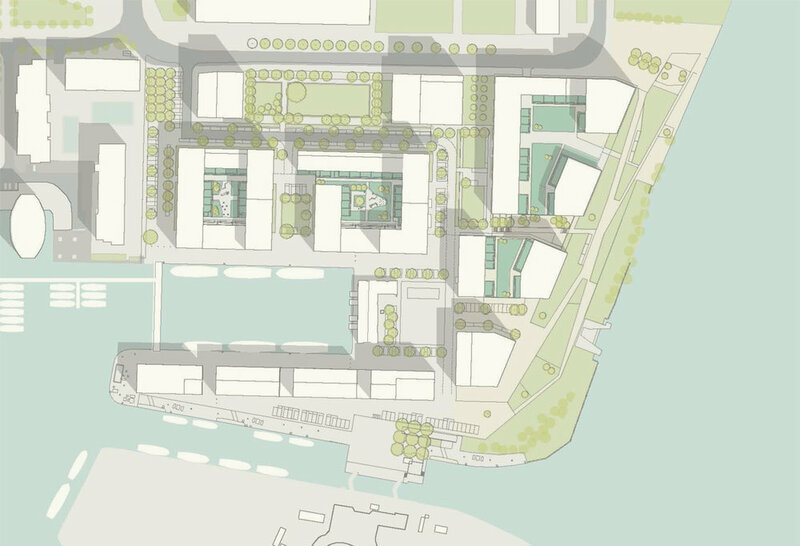 The Great Eastern Quays masterplan called for a strong placemaking vision, to define a new mixed-use community of over 1,500 new homes, along with workplace and retail that will make eastern-end of the Royal Docks a place in its own right where the docks meet the Thames. The masterplan by Maccreanor Lavington sets-out urban define principles that considers the wider area, including the adjaent Gallions Quarter site, to create a coherent and new residential area reconnecting the northern edge of the dockside to the city of London. 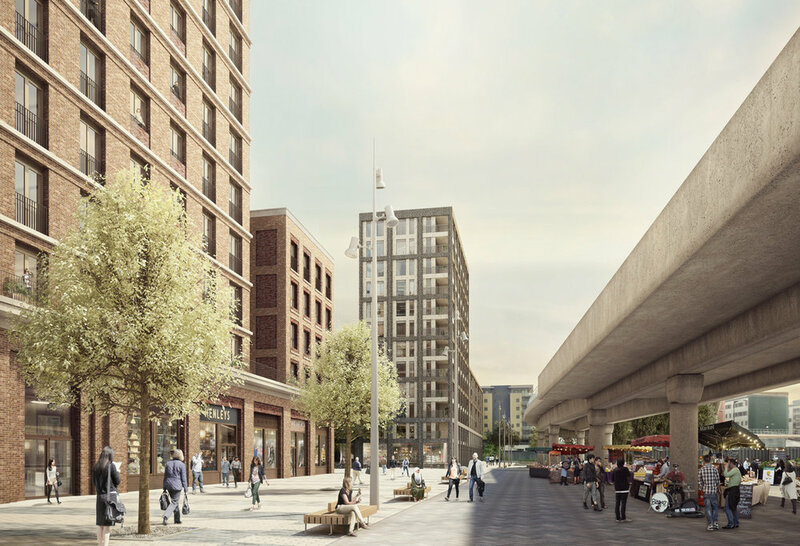 The Brentford Waterside masterplan was developed by a collaborative team of architects, including Maccreanor Lavington, AHMM and Glenn Howells. The masterplan is bounded by Brentford High Street to the north and and the River Brent to the south, the re-connection of these two important public spaces was central to the masterplan vision and achieved by reinstating historic yards and retaining historic buildings to anchor the masterplan in the industrial history of the area. The masterplan has been designed in line with the urban design principles defined by the adjacent Great Eastern Quays masterplan, creating a traditional piece of the city of London. 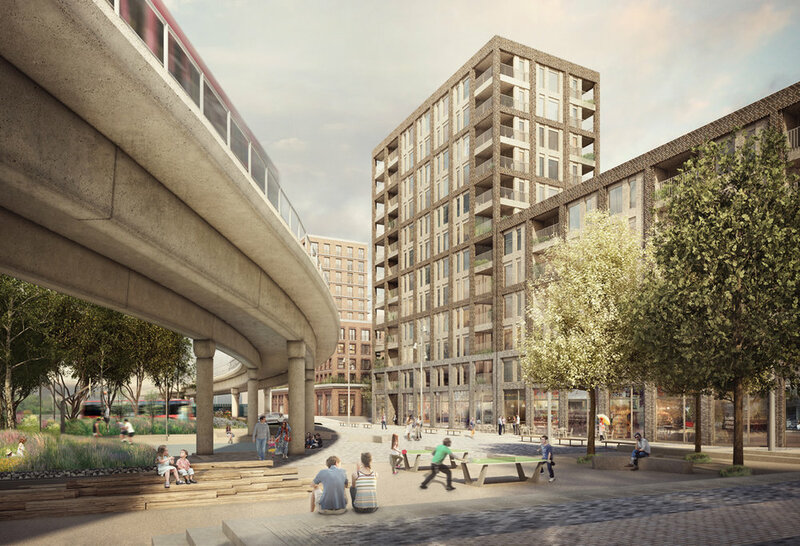 The creation of special public open spaces includes an urban park under the DLR viaduct with local shops and services, as well as a linear green connecting the masterplan to the wider development. The public spaces are complemented by a traditional streetscape maximising private front doors and on street parking, to create a vibrant and active community. Aberfeldy New Village masterplan was developed collaboratively between Maccreanor Lavington and Casey Fierro Architects, creating a 12 year development framework for the site. The proposals transform the area by locating high quality public open space at its centre framed by 1153 new homes creating active and overlooked routes through the community, protected from the harsh environment of the adjacent motorways. The masterplan provided a placemaking vision supported by design guidelines and paramater plans. 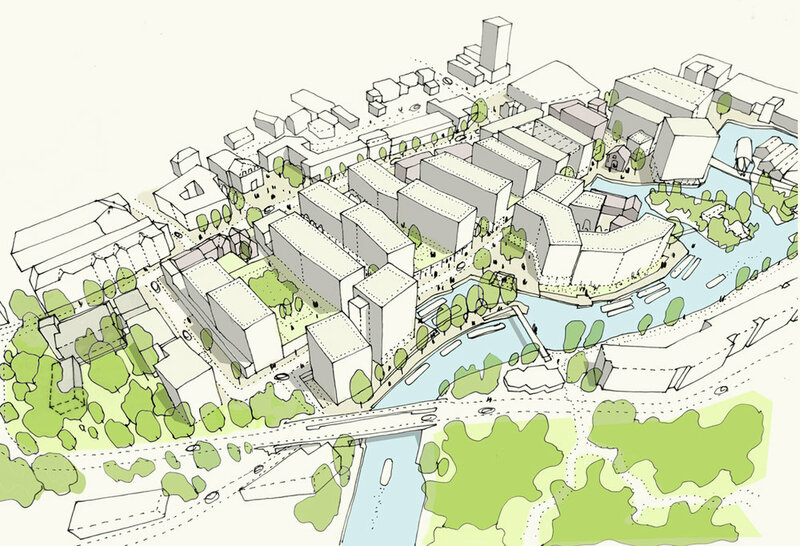 This commission involved re-visioning the Brentford Lock West masterplan to include a large adjacent brownfield site. The study undertaken by Maccreanor Lavington explored opportunities to provide community facilities, including a new community hall and two-form entry school at its heart, along with additional mixed tenure housing. The study considered existing historic industrial buildings on the site, including strategies to include them within the masterplan, and imporove connections to Brentford train station by way of a new footbridge. The study was prepared in response to Oxford City Council’s request for development partners for the site. 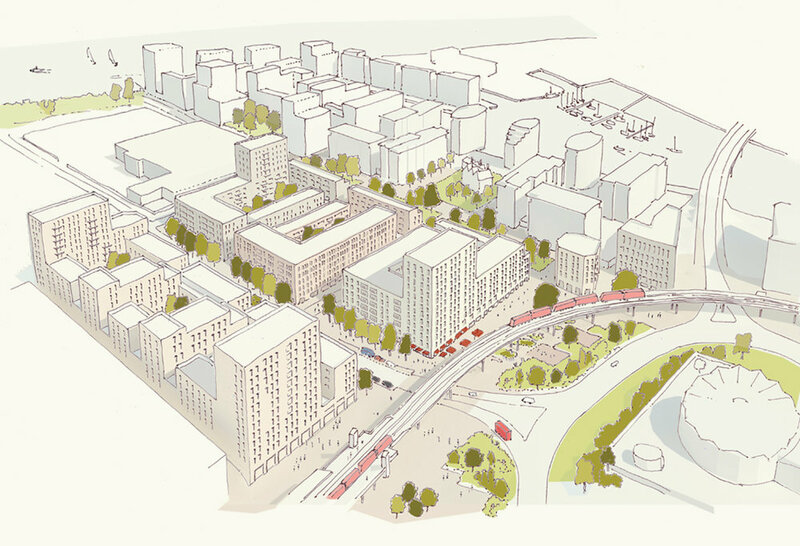 The masterplan study involved comprehensive analysis of site information as well as preparation of a design response to both the SDP illustrative masterplan and development of a new vision and masterplan proposals for the site. The proposals explored strategies to address flood mitigation through the integration of sunken courtyards which would assist with flood attenuation and drainage. 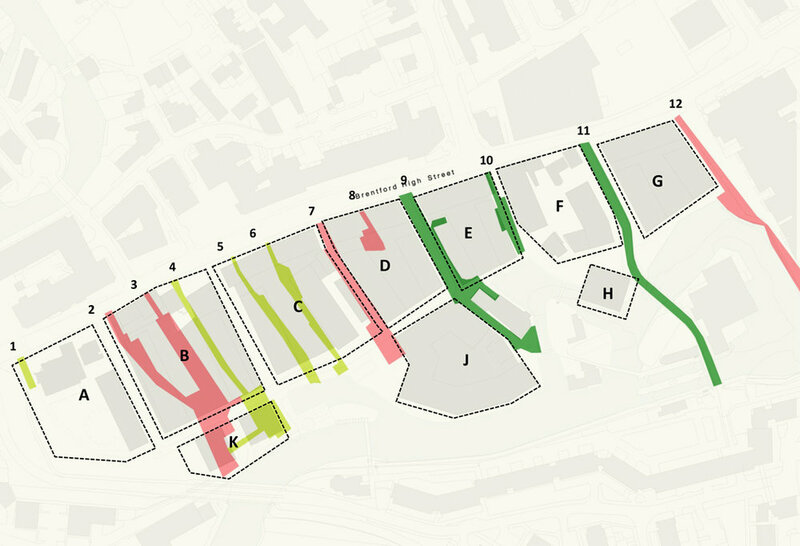 Commissioned by the GLA, this study examines the constraints and capacity for development on three vacant sites whichsit within the Royal Albert Basin area. The study gives an overview of the myriad of physical, legal and environmental constraints imposed on the three sites. Initial briefs for potential uses have been developed, including development parameters, potential site layouts and an estimated quantum of development indicated for each of the sites. The study helps facilitate an informed and coordinated decision making on the future of the sites.